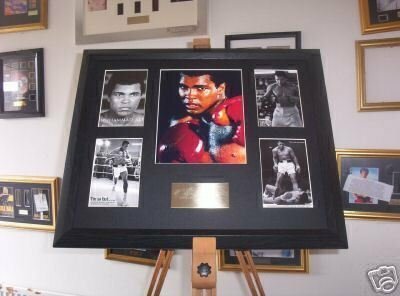 Second hand and used Boxing Memorabilia for sale in your area. We compare the top second hand classified and auction sites to find you the best deal. Churchman - Boxing Personalities 1938 ***Pick The Cards You Need***Good condition. Please see front & back photographs. If you need more detailed photographs let me know and I'll be happy to help. The picture would make a great gift for any fan. The items are in stock for immediate dispatch. produced in the united kingdom using fully licenced images. THE RING NOVEMBER/DECEMBER 1968 COVER FEATURES JOEY ARCHER v EMILE GRIFFITH MANY MORE BOXING MAGAZINES FOR SALE Check out my other items! Be sure to add me to your favourites list! 'Boxing By The Sea',110pp,self-published 2011 by Larry Braysher. Scarce. Having a clear out selling our original vintage Disney collectables some old some new see pics large mug measures 11.5cms high,mickey and minnie wooden puzzle in original box 22.5x22.5cms,metal happy.